One for your diaries if you happen to be in Paris between now and the 23rd of January 2012. 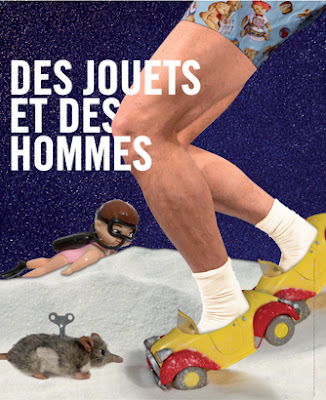 The new exhibition Des Jouets et des Hommes / Of Toys and Men at the Grand Palais shows the history of toys from Antiquity to the present day through an impressive collection of 1,000 toys from the Western world and Japan. In addition to providing a chronological view of toys and toy development, Des Jouets et des Hommes, the largest exhibition of its kind, examines the role of playthings in childhood and beyond, looking at obvious aspects such as gender bias and archetypes but also the ritual of giving, children's mimicry of the adult world, adults' relationships to toys and what toys teach us about our ever-changing world, to name but a few. From what I've read this sounds a fascinating exhibition for young and old alike - I hope I get chance to go before Christmas. N.B. After Paris, the exhibition will be moving to Helsinki Art Museum (21 Feb to 20th May 2012). Follower Spotlight: Go Go Accordion Girls!